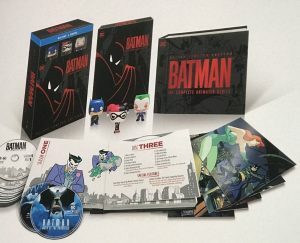 Batman: The Animated Series Deluxe Edition On Blu-Ray and DVD! Out today, October 30, 2018, in North America in Blu Ray and DVD for over $100 on Amazon and elsewhere. …Now in High Definition, all 109 action-packed episodes, 35 hours of crime fighting! The critically acclaimed, Emmy-winning series, that redefined the complex super hero to the Dark Knight that fans love today is now available in a Deluxe Limited Edition Blu-ray set! 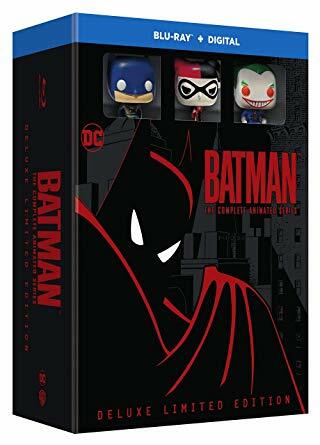 Also includes collectible Batman, Joker and Harley Quinn Funko Pocket POPS, 7 EXCLUSIVE Lenticular Collector Cards of Original Animation Artwork, plus 2 Bonus Discs of Animated Films Batman: Mask of the Phantasm and Batman & Mr. Freeze: SubZero! 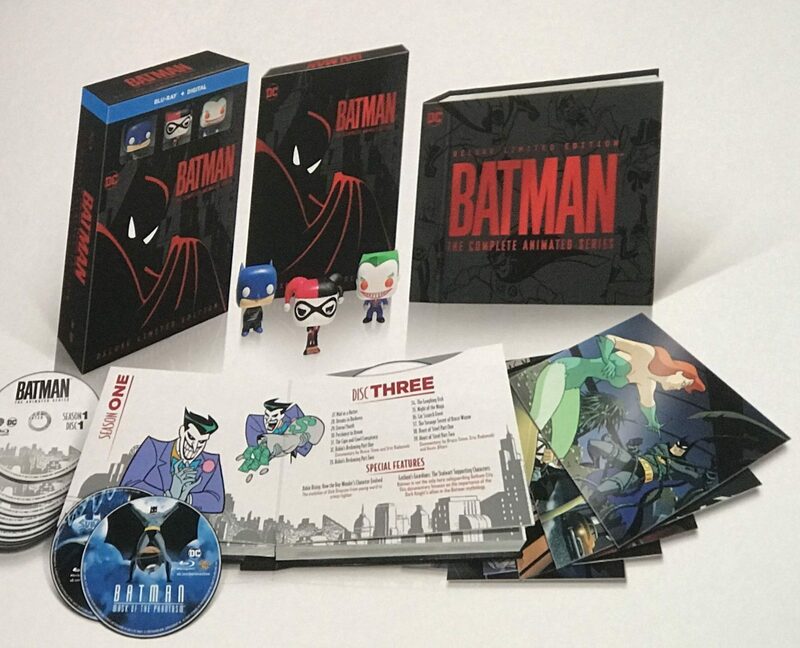 25 In-depth Featurettes including new definitive Batman: The Animated Series making-of documentary, “The Heart of Batman” — A rare gathering of talent defined Batman for a generation. Twenty-five years later, Batman: The Animated Series continues to inspire fans and myth makers all over the world. This is an in-depth look at the storytellers behind the series. Commentaries on 12 Episodes with Animation Creators.